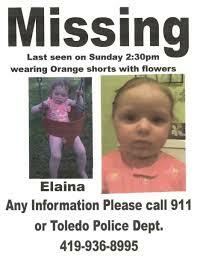 This entry was posted in Uncategorized and tagged Baby, Elaina, line., Missing, Steinfurth, time on June 28, 2013 by edimminger. This entry was posted in Uncategorized and tagged defense, jodi arias, Motion, murder., Nurmi, Travis Alexander, trial on June 27, 2013 by edimminger. This entry was posted in Uncategorized and tagged art., deal, donations, funny, jodi arias, murder., plea, post, recycling., Travis Alexander, trial, tweets on June 25, 2013 by edimminger. This entry was posted in Uncategorized and tagged Angela, Baby, boyfriend, child, dead, Elaina, endangering, indicted, Missing, mom, obstruction., Steinfurth on June 24, 2013 by edimminger. 1. Instead of Travis walking up to Jodi (their first meeting, according to Jodi) the movie has her following him into a restroom. 2. The story where the Hughes were upstairs talking to Travis about Jodi and she was listening at the door- now they are by a pool? 3. Jodi had been living in Yreka for a while when she drove to Mesa to kill Travis- in the movie she is telling Travis the night of the murder that she is moving to Yreka. 4. We don’t know what really happened right before the murder, in the movie it is a text from another girl that sets her off. This entry was posted in Uncategorized and tagged Jodi, jodi arias, lifetime, movie, spoilers, Travis Alexander, WildAboutTrial. on June 22, 2013 by edimminger. This entry was posted in Uncategorized and tagged Angela, Baby, Elaina, King., Steinfurth, Stephen on June 22, 2013 by edimminger. Rumors are being spread about a male sitting next to Jodi’s Mom blowing kisses and winking at Jodi. @josemcyntire: Any chance you saw the Romeo wooing Jodi Arias in court today? @tarakelley320: yep he sat in the family row by her mom right in front of me. @katiecoolady: It was a young male with a dramatic striped hairstyle-never saw him before. *Jose McYntire is awesome. He is sharp as a tack and often gets the scoop before anyone else. You should follow him. 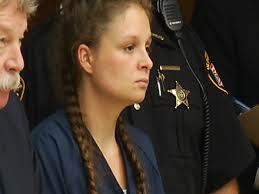 *Tara Kelley was an alternate juror and has been featured on HLN many times. *Katie is a blogger who is in court and often featured on WebSleuths. Her sister Cindy was murdered. I’ve never seen him before and at one point security was talking to him. He did blow her kisses. Katiecoolady (Kathy Monkman) later indicated on Websleuths.com that he was kicked out of court. 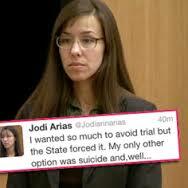 This entry was posted in Uncategorized and tagged boyfriend, court, hearing, jodi arias, Travis Alexander, twitter. on June 21, 2013 by edimminger.